Spring is almost here and that means it's almost time for the start of another baseball season. Every March, Cactus League Spring Training, a series of practices and exhibition games preceding the start of the regular baseball season, roars to life in Phoenix with crowds of cheering fans and shouts for concessions. 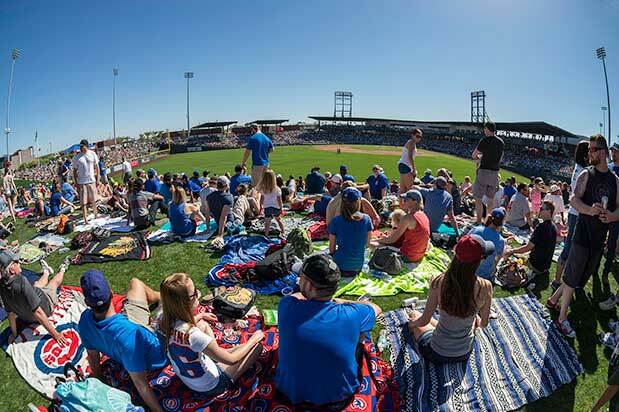 For baseball lovers, especially Seattle Mariners fans, a trip to Phoenix to catch a spring training game from March 1 to April 2 is the perfect getaway. Just a three-hour, non-stop flight from Seattle, a trip to the desert promises the excitement and fun of cheering on our beloved M's and a weekend of sunny skies and warm weather that are hard to pass up after a long, wet Pacific Northwest winter. As for that downtime between games, there's no shortage of opportunities for hiking, biking, horseback riding or just lounging by the pool. To cool off after a long day at a sunny stadium, take a refreshing dip in the pool. 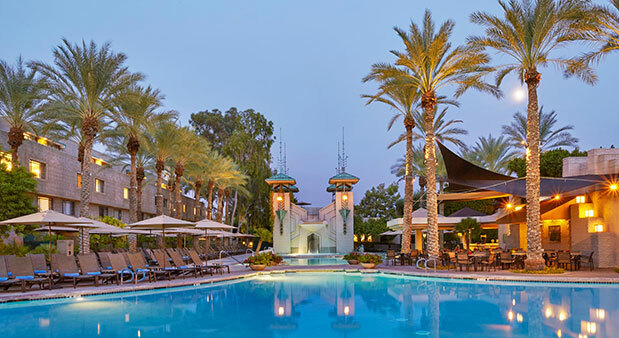 At the historic Arizona Biltmore, built in 1929 and located just eight miles from Phoenix Sky Harbor International Airport, you can choose to splash around in any of the eight sparkling swimming pools found on the 39-acre grounds. If you have kids, hit the Paradise Pool, where you can slip down a 92-foot waterslide. There's also a swim-up bar serving up yummy cocktails for adults and luxury poolside cabanas that can be rented if you need some shade relief from the hot Phoenix sun. If you're looking to escape the crowds (and after a day at the ballpark who can blame you? ), the Terrace Court Pool and the Saguaro Pool are smaller and more intimate pools on the Arizona Biltmore grounds and are the perfect spots to lounge lazily with a good book and soak up the sun. A swim in one of these secluded pools is sure to help you to wind down from the buzz of spring training. Because of the Phoenix's bike-friendly streets and nearly-always-perfect weather, renting a bike is one of the best ways to see the city in between ball games. Phoenix is actually one of the top communities for bicycling in the country. According to the City of Phoenix, as of January 2014, Phoenix had 713 total bikeway miles composed of 596 miles of on-street facilities,117 miles of off-street paths, 22 bike bridges and 20 bike tunnels. In 2014, The League of American Bicyclists gave Phoenix a bronze-level status as a bicycle-friendly community. Steer your wheels in the direction of the Salt River Project's Canals. The banks of the nine canals that make up the valley's canal system are popular recreation areas where you'll find more than 100 miles of paths that wind through quiet neighborhoods, city parks and shopping districts. The trails of paved and packed-dirt make for an easy ride that you can invite the whole family to participate in. Before you catch a baseball game, a cruise through the canals can be an awesome way to disconnect from the crowds, explore the city at a leisurely pace and soak in the views. Check with your hotel to see if it offers complimentary loans or bike rentals for the day. If not, no problem. Bike rental shops like Cactus Bike and Old Town Cruisers are centrally located and happy to loan you a bike for your ride. If you want to have a real cowboy moment, saddle up and explore the desert on horseback on one of the many trail rides available throughout the wide-open expanse of the Phoenix desert. 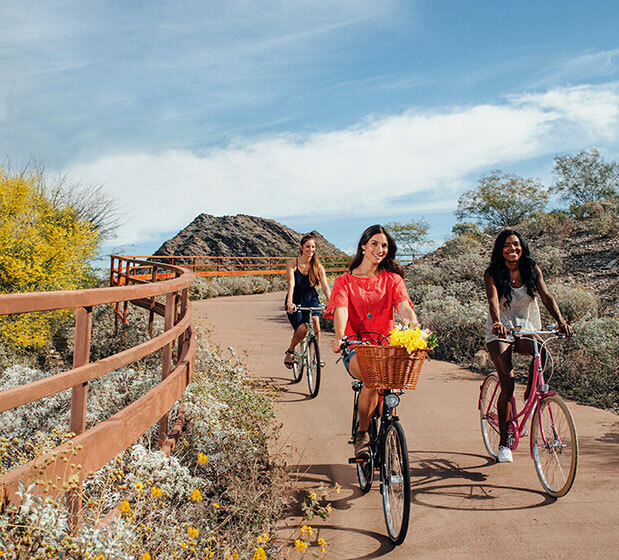 Catch a glimpse of wildlife up close and view the mountainous skyline at McDowell Mountain Regional Park, which is located in the northeast region of Phoenix and offers more than 50 miles of trails to ride. Want to take a sunset ride? 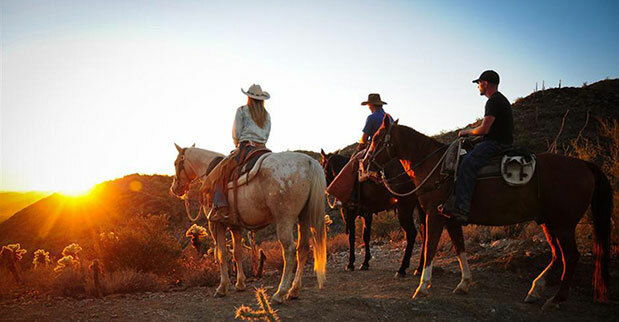 With Cave Creek Trail Rides you can explore the desert trails at the most peaceful time of day and end your ride as the sun sets into the horizon. 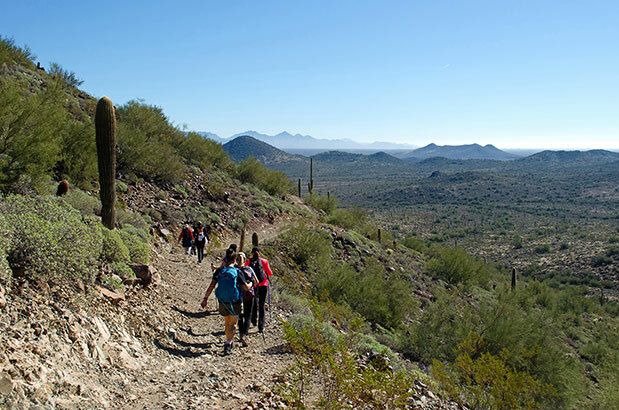 The Sonoran Desert Preserve, located just north of the city, is a great place for you to get out and explore. The preserve trails, built in 2009, are the newest area of the preserve system and offer visitors more than 30 miles of trail to hike. When spending a day in the desert there's no shortage of flora and fauna to be spotted. And the Sonoran Desert Preserve, known best for its natural garden of Saguaro cactus, is one of the best places to see desert wildlife and blooming plants. If you keep your eyes peeled, you might even catch sight of a jackrabbit, roadrunner, rattlesnakes, Gila monsters, prairie dogs, coyotes, horned toads or bighorn sheep. Before you hit the trail, download the Phoenix Trail Guide for a list of hikes, expert tips and must-see spots. 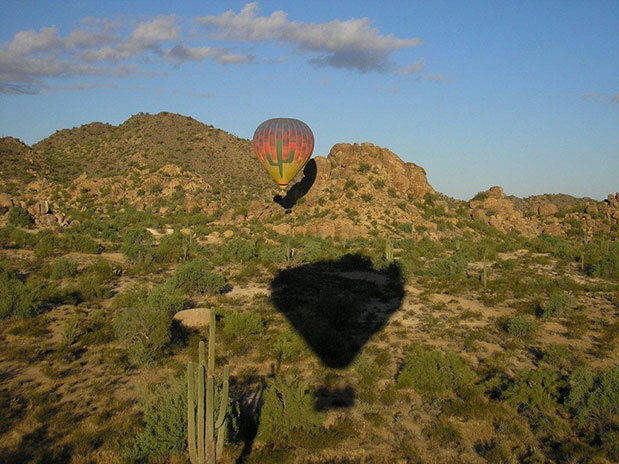 If you've never taken a ride in a hot-air balloon, then Phoenix is the perfect place to do it. A placid cruise through the clouds offers sweeping views of the desert and city. Float above Arizona's rugged desert landscape at sunset with Hot Air Expeditions, which will help you to introduce a little romance to your baseball weekend with glasses of Champagne. A ride with Float Balloon Tours at sunrise is an unforgettable way to experience the drama of the dawn in the desert, and for the early-morning ride, the crew will pour you a hot cup of coffee. Some hot-air balloon companies even combine your high-altitude experience with tours that touch close to the ground (you'll want to keep an eye out for a wildlife sighting).